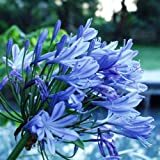 When to cut agapanthus flowers? 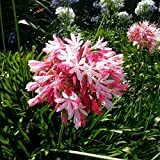 When do agapanthus flowers bloom? 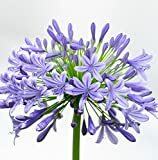 When to cut agapanthus flowers? 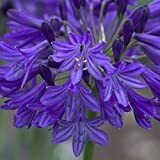 Need to cut agapanthus flowers when the flowers almost finish opening but not all cultivars open in the same time and you’ll need to cut it before all the flowers open, to keep it more time need to put chlorine and sugar, agapanthus flowers bloom in the summer.